Translation:What is the moose drinking? I translated it like "what is drinking the moose?" And it said that it is wrong... why tho? Its not the same thing as "what is the moose drinking?"? Are elk and moose the same animal? In North America, they're two different animals. In Europe, what's called a moose in North America, is called an elk. What would be called elk in the North America is also known as wapiti, and is not native to Europe. In the Norwegian fauna, you'll only find what Americans would call moose, and Brits call elk, so that is the animal Norwegians would associate with both words. The Norwegian word for the American definition of elk is either "wapiti" or "elk", but most Norwegians wouldn't know exactly what species it was and just call it a "hjort" (deer). A while back, I saw a reference to "en wapitihjort" for the animal native to North America, to which we refer as elk and/or wapiti. Just a little extra info regarding the moose/elk distinction: in Europe, the official common name (in English) is the Eurasian Elk. Although their Latin names are different, the Eurasian Elk differs from the North American moose by only a couple of chromosomes; they are considered semi-species. Because moose names are extremely similar in many different Algonquian languages (e.g., moz in Abenaki, mus in Maliseet, mooz in Ojibwe, mos in Mohegan), the origin is not attributed to one specific First Nation language. why pronunciation is different: in "elg" L is silent, and in 'elgen" L sounds L? The 'l' should be audible in both the singular and the plural forms. It shouldn't. Like my dialect, halfway removed from any booklike resemblance, I use a thick L and softening the G into a J, [æł̣j], and I keep that in the other forms that starts with elg as well, also when making it into a verb or compounding it. The robo-voice isn't always consistent, unfortunately. aha! ok. Could you tell me more about yourself please - what is your dialect? I'm from Skien, the county capital (fylkeshovedstaden) of Telemark. Telemark is otherwise known to have nynorsk close dialects in the rural areas (saying ikkje rather than ikke, eg rather than jeg), but the area around the bigger cities in the South, Skien and Porsgrunn, is called Grenland. Our dialect is superficially close to bokmål. We write bokmål. Our dialect is called grenlandsk (after the area) and can shortly be described as bokmål with nynorsk vowels and endings. En bil, bil'n, bilær, bilane (car - cars), endings not to be mistaken for those long pronounced æ's from the East side of the Oslofjord, it's a rather short æ/bordering a. Lots of diphtongs (bli - blei (to become)), thick L's (melk - mjæł̣k (milk)). If there is an optional spelling of a word that contain an a, we probably use it. In plural nouns definitive we often substitute the -ene with -a, like smørbrødene - smørbrø'a (the sandwiches), ungene (the children), stays that way (I don't know the "rule" behind that). Some of the past tenses get an i, Jeg har sitti og skrivd lenge. (Jeg har sittet og skrevet lenge). [No pun]. I have been (sitting and) writing for a long time. A lot of these characteristics can also be found in a lot of the other dialects around the Oslofjord, it's always the total collection of the sounds, rythm and endings that pinpoints a dialect. 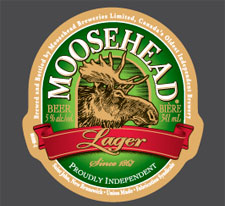 So if there was a drink called "Moose" (like say a brand or something) could you also use this to ask "What drinks moose?" Though I suppose it would be more likely to be Hvem... but I suppose I'm more asking if there's a difference between "What is the x drinking" and "What drinks x"
You could say, "Hvem er det som drikker Moose?" Forget "why do we exist", this is the new philosophical question! It's just the order, you can use different order in norsk than in English. English used to allow this word order ... imagine something like "what readest thou, peasant? Learnt thou to read??" why not "what the moose drinks"? That's not natural sounding English. when do unnatural became wrong? English is not my native language, and this is not the english course. I understood the sentence and translated it according to rules. But still have got an error. it's kind of frustrating, I'd say. I am doing the German course and I keep doing silly mistakes in the translations, both into German and into English. Because I don't really care that a shopping cart = der Einkaufswagen, I need to know that it is en handlevogn. So at times I get really mad about errors I view as mere typos. But the language needs to be natural and understandable, everything in these courses has been added by a human and it is already challenging to make good translations and considering how one word can have different meanings in different contexts. You carry your own mother tongue into your translations. Word order that might feel natural to you might be totally silly for someone of another nationality, even when both are trying to sound English. So we need to follow standard grammar for all the sentences. The drop down hints can rarely help you with stuff like which words/group of words change places and missing articles. Maybe you can think of the course as a free chance to practice your English while also learning Norwegian. The only person you really have to convince you're learning is you, not DL.